These cute and modern trousers by Named Clothing feature hem vents, a high waist, and curved side seam details with in seam pockets. Made for fabrics with some stretch. These pants are sure to be a comfortable and unique addition to your wardrobe. These trousers by Pauline Alice are super casual, comfortable, and flattering. Features include a relaxed fit, tapered leg, slash front pockets and zip fly. 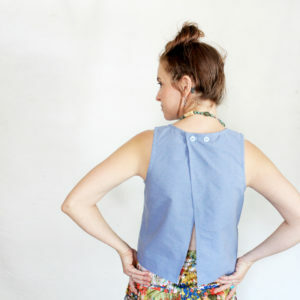 This pattern also has a second view to make shorts and an interesting zipped pocket option for the back pockets. The Claude Trousers by Republique du Chiffon are a modern take on a classic shape. 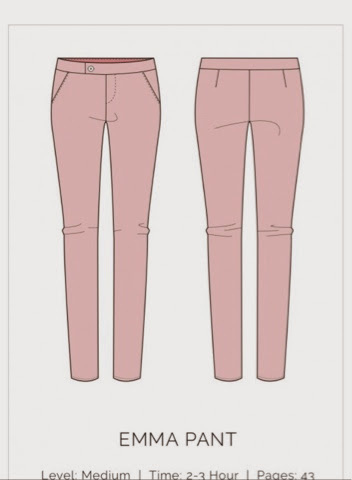 High waisted, tapered legs, zip closure with buttons as side waistband, and fun welt front pockets. This is a basic, mid-rise pant with slash front pockets and a zipper fly. The great news is this pattern is FREE! 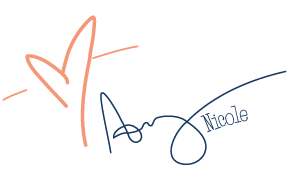 You can download this pattern along with all other patterns in the Sew Loft library by clicking here. 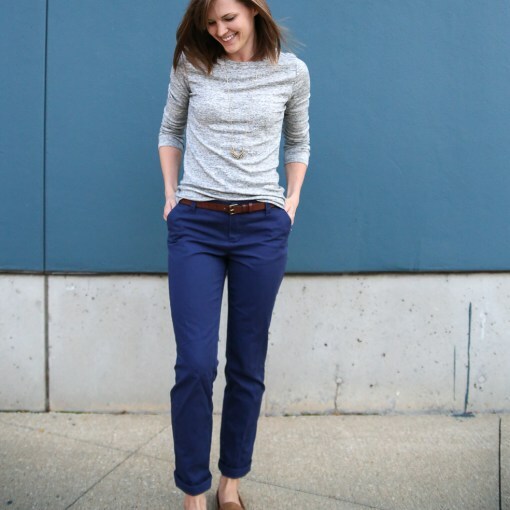 If you already follow my blog, you know I love these pants! (As seen here and here.) This is another relaxed fit, tapered leg, mid rise pattern with slash front pockets and welt back pockets. 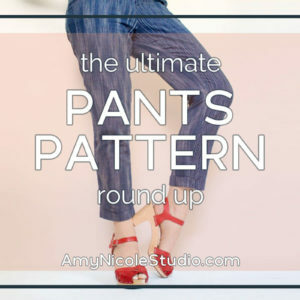 What I love about this pattern is that the instructions are very clear and thorough – a plus if you aren’t familiar with pants making! Find them at Alina Design Co.
*** I should note that this is the only pattern on this list I have actually made. A chic and classic pant perfect for the office. 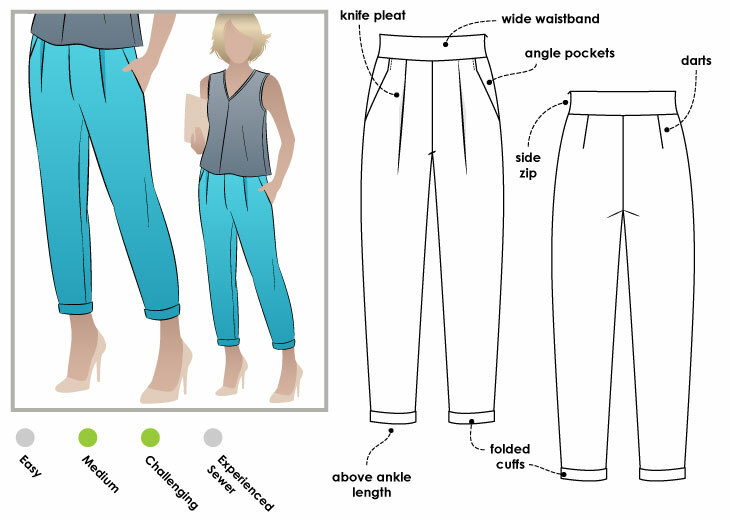 This pattern from Style Arc features a unique front seam with angled pockets and a wider leg for those who are sick of the tapered leg trend. 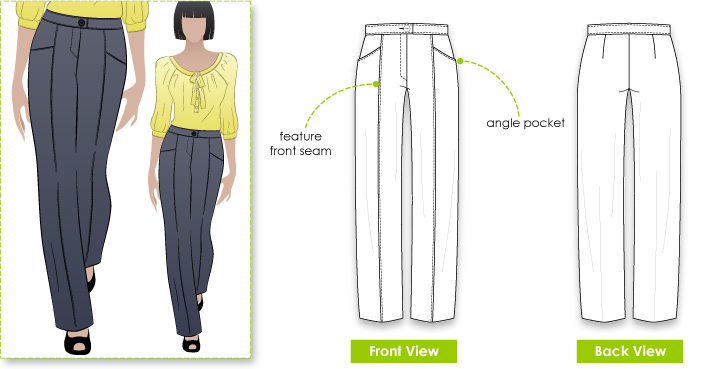 Another Style Arc pant, this one features a high waist, cuffed & tapered legs, a side zipper and front pleats. If I was sewing up this pant I would probably cut that waistband in half, but I love the casual relaxed look of these pants. This trouser pattern by Ralph Pink is super sleek and modern. Ankle length, slim legs, slash pockets and optional turn up cuff hem. 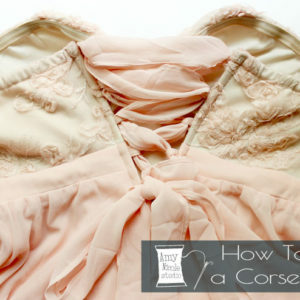 The lower waistline makes this retro cut more modern. These not your fancy? 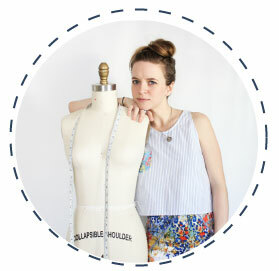 When I can’t quite find the right pattern I love typing in the general term for what I’m looking for into BurdaStyle. Their library is so vast, theres almost always something that closely resembles what I have in mind. I then use that pattern and make whatever tweaks I necessary to reach my perfect vision. Click here to see the extensive results of a “trouser” search. And that’s all folks! I hope you found this round up helpful. 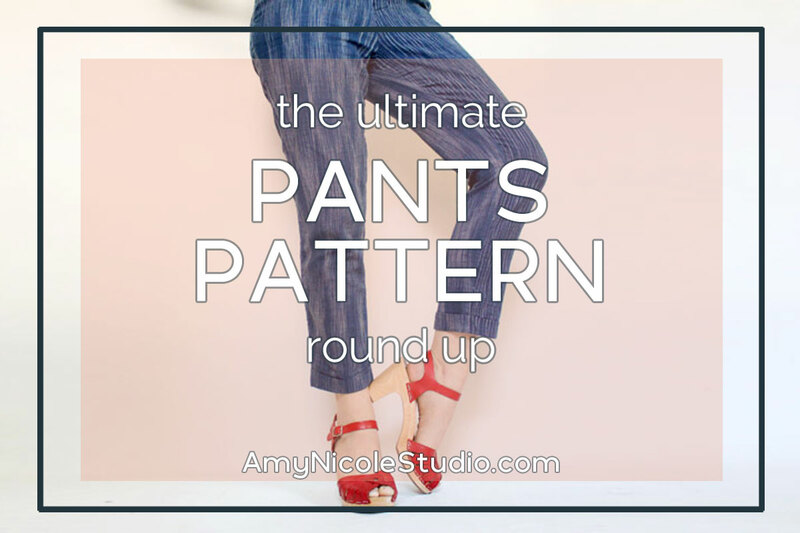 Even if I didn’t help you find your dream pants, perhaps I helped you discover a little more of what’s available. Still fill like somethings missing? Let me know in the comments below! I have my eyes on the Guise Pants from Papercut. It’s a bold look with all that pleating and tapering…but I’m thinking a wine-coloured tencel twill would look divine. Or I’ll have fun sewing a pair of pants that never get worn. Not the worst thing.